November 10, 2010 The relocation of the UVic rabbit population has been steady, with animals being turned over to both EARS, operators of the Coombs refuge, and to the group bringing rabbits to the States. Now, the Arrowsmith Agricultural Association wants the rabbits removed from the Coombs sanctuary grounds at the World Parrot Refuge, (private property) and has asked the Ministry of Environment to order them gone. The association owns the Coombs Fairground, on the opposite side of the highway about half a kilometre away from the refuge. While wild rabbits have been living in the area for years, the influx of about 270 new ones from UVic has compounded problems for the fairground, claims director Deborra Adkins. She says because they “dig holes” they are a potential liability issue for horses and people. She also has exaggerated and misplaced concerns over the spread of disease and parasites. It should be pointed out that the ex-UVic rabbits are of the European variety, not the Eastern Cottontail, which is more than likely the species found around the fairgrounds. I would wager that Ms. Adkins and Barbara M. Smith, horse ‘owner’ and member of the BC Competitive Trail Riders Association, and notorious for having escaped sanctuary rabbits on her property shot, have collaborated to find ways to shut the refuge down. New fencing has been installed at the sanctuary, and the rabbits are contained. While this should have been done at the onset, it’s no reason for the agricultural community to be spiteful and to use the matter in what appears to be a ploy for financial gain. The rabbits are innocent pawns in this entire debacle created by human pests, and yet again they’re the ones paying the price. Egos, ineptness, misinformation, intolerance - all behaviours that have factored into this saga. Really, what’s next? Whether it’s locally or globally, our dominion has been nothing short of catastrophic for the environment and other creatures fighting for their rightful place on Earth. 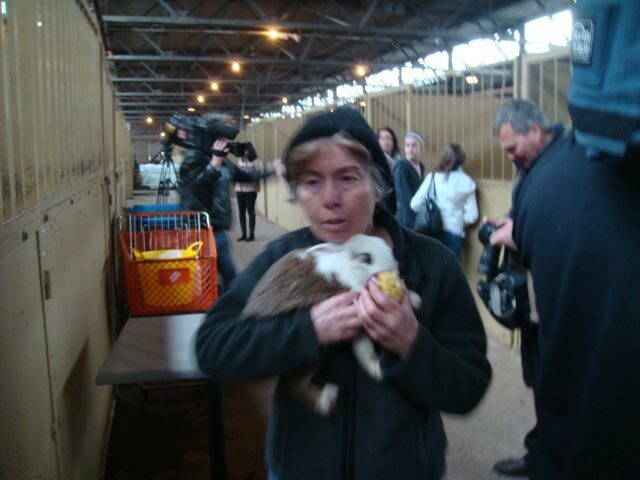 November 20, 2010 Another group of rabbits left for Texas yesterday, after being sterilized and vet checked. A Washington sanctuary may also accommodate a small number of rabbits, if need be. UVic’s Rabbit Management Plan is on track, with the goal of having no rabbits in the areas designated to be “rabbit free” and a nominal population of about 200 inside Ring Road. The population has been substantially “thinned out,” so trapping is taking somewhat longer. It will continue into December, with three dates being set aside for transfer of rabbits into MoE approved sanctuaries. The Coombs refuge has over 400 bunnies, while the Wild Rose Rescue Ranch in eastern Texas will have 225, once the third group arrives later today. Laura-Leah Shaw, who has coordinated the operation, says the van has been delayed by snow in southern Oregon and northern California. It’s cold and snowy here, too. 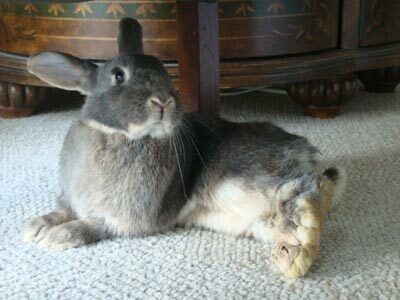 Please contact rabbitadbc@shaw.ca to find out how you can help support rescue efforts of our furry friends. December 3, 2010 “Noah and the Bunnies" is the amazing true story of Noah, a disabled Homing Pigeon/Rock Dove who came to be the guardian of three orphaned baby cottontail rabbits - just six days old, saving their lives and his own in the process. If you are interested in helping the Wild Rose Rescue Ranch and the UVic rabbits at the same time, this is an inspirational and wonderful book. While the trapping and relocation of UVic rabbits to Coombs goes on, so too, does the opposition. The Arrowsmith Agricultural Association isn’t backing off. Association member Janet Boley says there is no justifiable reason to introduce “pests” to an agricultural community. The Farmers Institute has also echoed similar sentiments, and has written to the BC government, requesting that no more rabbits be sent to Coombs from UVic. Natural Resource Operations Ministry spokesman David Currie said the letters will not affect licensing for the sanctuary in the grounds of the World Parrot Refuge. Meanwhile, Susan Vickery, operator of Earth Animal Rescue Society and the sanctuary, said about 500 rabbits have already been relocated, with another “75 or so” due to arrive by month’s end. December 12, 2010 The Ministry of Environment has approved another permit for UVic rabbits to be relocated to the States. A fundraiser was held today at Little Paws Animal Clinic in Steveston with donations to help send the rescued bunnies to the Precious Life Animal Sanctuary in Washington State. Rescue coordinators are expected to pick up about 25 rabbits from the University on Tuesday. December 17, 2010 The first of the rabbits have arrived at the PNE and are safely ensconced in their temporary new quarters. Thanks to all who helping with this effort. It was a busy following day, with both CTV and Global news crew covering the event and volunteers tending to the needs of the 35. Tonight it's rest and relaxation, with visits to the vets to follow. Close to 800 rabbits have been removed from campus. Global broadcast 6 pm. December 29, 2010 While the rabbits at the PNE are being well taken care of by a group of volunteers, donations to help with spay/neuter and medical bills, transportation, and other costs are needed. Thanks to The Province newspaper for bringing attention to the bunnies: Vet bills adding up for rabbit rescue. Kind-hearted individuals have responded to the story. If you’d like to help with donations of money or supplies, visit www.uvicrabbitrescue.com (no longer active) or email info@rabbitadvocacy.com More rabbits have arrived tonight! Rona and Farrah need a little extra care, so they are being attended to in Gooch’s home. 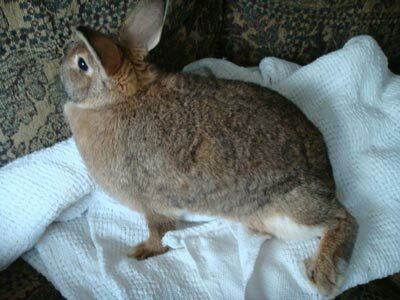 January 13, 2011 The PNE rabbits are thriving under the care of volunteers, with almost half of them being sterilized. Tom Smith, UVic director of facilities management, said the University is considering going rabbit-free, rather than keeping 200 animals on campus, as was the original plan. We are in support of this, but would hope that there would be another resolution, other than having the rabbits “dispatched” because Ministry permits to relocate them to sanctuaries expire at the end of March. Surely, this institution should lead by example, instilling in young people compassion and respect for all life. To ruthlessly obliterate the non-human species of society, speaks volumes on the lack of ethics and character of our own species. Sadly, the BC SPCA has not provided leadership on rabbit issues, leaving it up to the small advocacy groups (like ours) to do their job. Rabbits are still being dumped on campus grounds, and unless there’s a whole new mindset, nothing will change for the better. Ms. Dubois, BC SPCA Manager of Wildlife Services endorses a rabbit-free campus saying: "Often euthanasia is more humane than a very inhumane life." While the rabbits certainly have had a tough go of things, I can’t help but wonder if Ms. Dubois extends her same sense of ‘compassion’ to the human species. Why do our beliefs or ethics and decision-making processes differ between the lives of humans and other species? How can we justify one and not the other? As a species, we are both selective and indiscriminate in our actions. Visit our Pet Shops/Rabbits/Legislation Get involved!